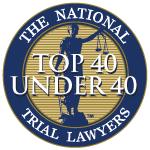 At the Zuckerman Law Firm, we field calls from college students and young professionals who decided to plead guilty to public drunkenness citations, thinking that the only consequence was a fine. If you plead guilty to disorderly conduct or public drunkenness as an adult, this will show up on your record for a minimum period of 5 years, and possibly permanently if you are re-arrested or convicted of a new charge. While jail time is very uncommon, certain summary offenses carry a maximum period of incarceration of 90 days. WHAT IS PUBLIC DRUNKENNESS AND WHAT ARE THE PENALTIES? Public Drunkenness is a summary offense charged under Title 18 Section 5505, which is punishable by up to 90 days in jail, a $500 fine for the first offense, and a $1,000 fine for each offense thereafter. A person commits a Public Drunkenness by appearing in any public place manifestly under the influence of alcohol or a controlled substance without a prescription in a manner that the person either endangers himself or herself, endangers other individuals, endangers property, or annoys other people in the vicinity. WHY AM I BEING CHARGED WITH PUBLIC DRUNKENNESS? The police typically charge someone with public drunkenness when they act in an outrageous manner while intoxicated. The Zuckerman Law Firm has defended those charged with this offense for passing out in public, being disrespectful towards police or others while drunk, or for causing a disturbance while drunk. If you are charged with Public Drunkenness, you may also be cited with Disorderly Conduct or Underage Drinking if you are under the age of 21. At Zuckerman Law Firm, we defend those accused of all types of alcohol related offenses, no matter how big or small. As a former summary appeals prosecutor, Attorney David Zuckerman has prosecuted and defended those accused of Public Drunkenness in Magisterial District Courts throughout the Pittsburgh area. Don't fight this alone. Check out our Results page, and let us take the case. Call 412-447-5580 for a free, confidential consultation.